This program is full. Please email Christine Johnston at christine@rurffnermountain.org with your name and phone number to be added to the waiting list. 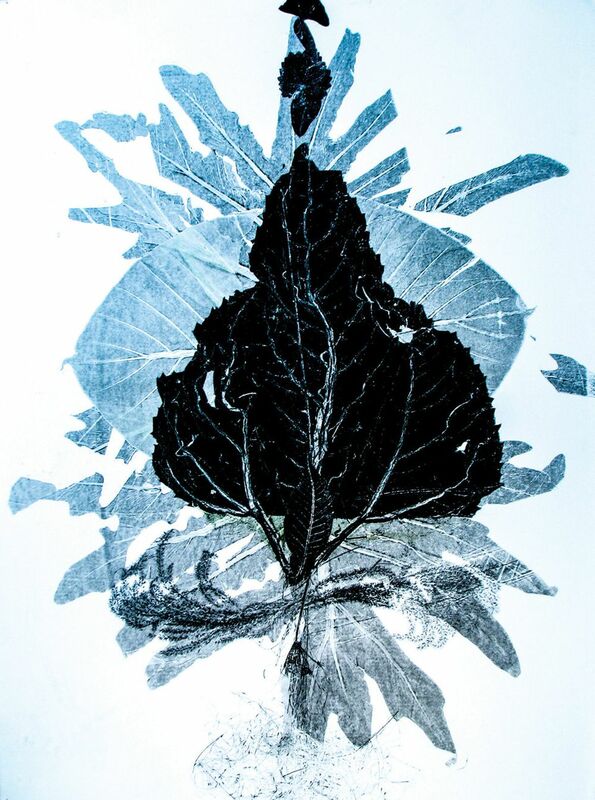 Birmingham, AL Printmaking Artist Celeste Pfau will be offering a two-hour introductory workshop on how to print plant materials using an etching press as well as without a press using Gelli plates. This workshop will begin promptly at 9:00 AM, as the printing process will easily take up the entire time. Each student will leave the class with their own unique artworks: 8x10in will be the largest size the class will work. Other smaller sized options will also be available. Celeste will cover the basic elements of how the etching press works, the different steps of monoprinting as well as the many different inks and paper options. She will also explain how monoprinting relates to other fine art printmaking techniques. All materials to participate will be provided by Celeste; however, participants can bring their own additional botanical/found materials: leaves, flowers, stems, lace, string, ect. Celeste Amparo Pfau is a fine artist based in Birmingham, Alabama. Natural spaces, whether wild or planted are her muse and source of materials. There she gathers flowers, foliage, seeds and roots to use in a unique process. Her botanical monoprints involve the careful arrangement of ethically harvested plant matter and oil-based inks. Each print, visual or wearable, is created on a manually operated etching press. Celeste hopes that her work can be a bridge to connect people to the natural world and to each other. Learn more about Celeste's work here. Registration and a completed waiver are required to attend this program.